WHAT!!!??? WHO'S NEW KITCHEN IS THIS? ..............but not forever. 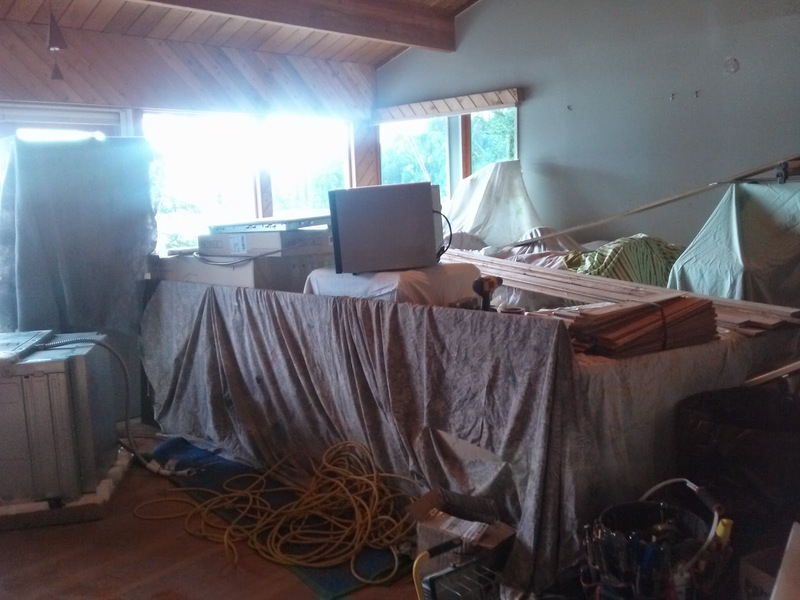 All the furniture is covered in sheeting but it certainly takes my breath away to see the living room in this condition.But it is all for the good. 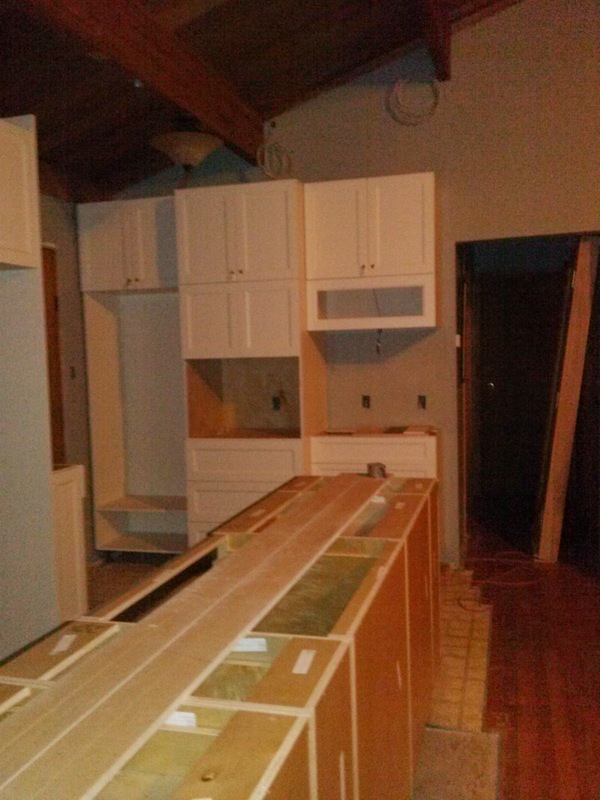 Below is the beginning of the new kitchen cabinetry. White was chosen to reflect the light in what can be a dark side of the house when the sun is hiding. In addition we have added a larger kitchen window over the sink. And Hey........now my guests can see who is coming and going up the back trail. 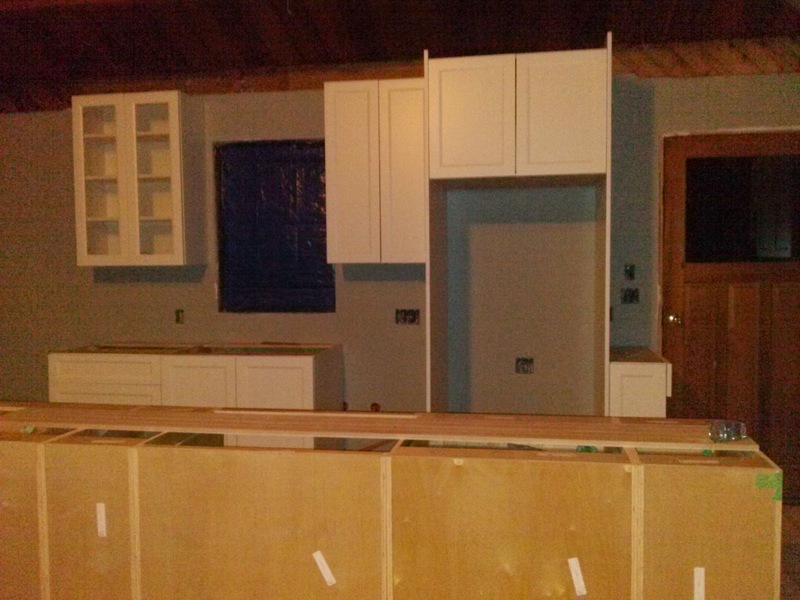 The cabinets below will house the microwave / convection oven. I think it will be great for cooking smaller items for a single or a couple guests. The open area to the right of the micro spot is the "drink center." 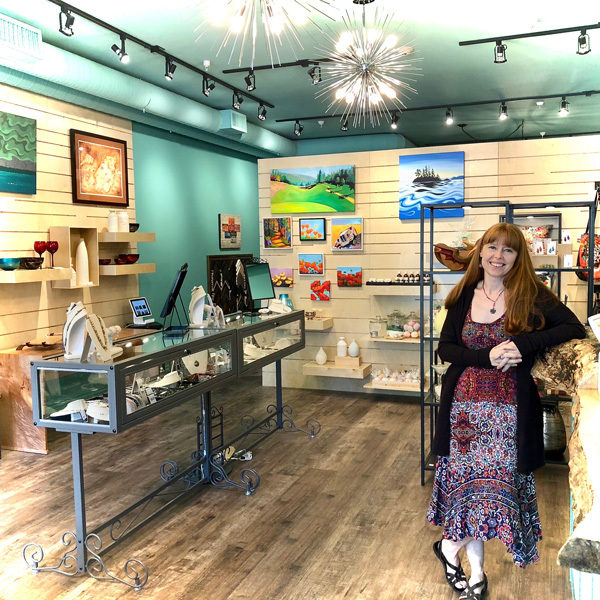 It will have a wine rack, the coffee pot, the coffee mugs and all special items needed for the bar whether it is coffee tea or liquor. 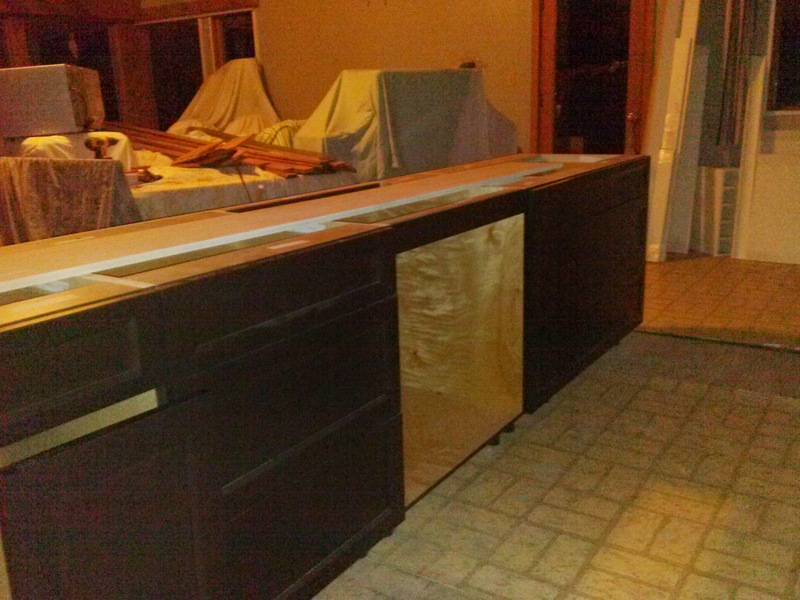 The below island will be 10 feet long..........plenty of counter space for cooking and dining. We have contrasted the white cabinets with the walnut finish of the island. I like contrasting finishes which adds a collected look.......that is important in this old cabin. Imagine standing at the island preparing your meal while looking out at the ocean view........PERFECT! One of our challenges has been the fir flooring. It is reclaimed and very old. We had to pull it up and then put it back down and we lost some boards. So now, we will put in a tile floor between the island and back wall cabinetry. The original Brown Ice granite slab upon a second look did not work for me. Too much drab, grey, green beige movement in the slab. So I set out to find a new selection....Finding a slab of granite the size required for the island has not been successful. The size limited my choices and I am very fussy about colour.......designers are like that, ya know. Roma Stone came out to measure today for the counters in the new Hideaway kitchen and for the new Petite Suite kitchen. We may use quartz upstairs and be done with it.